The colorful cast of happy creatures, high heeled statues and flying spoons dancin' on CCR's lawn in "Looking Out My Back Door" was inspired by Dr. Seuss's "And to Think That I Saw It on Mulberry Street." 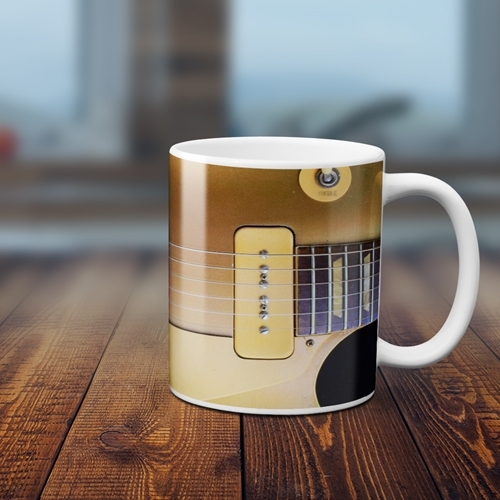 The original Electric Guitar Coffee Mug can only be found through Bluescentric! 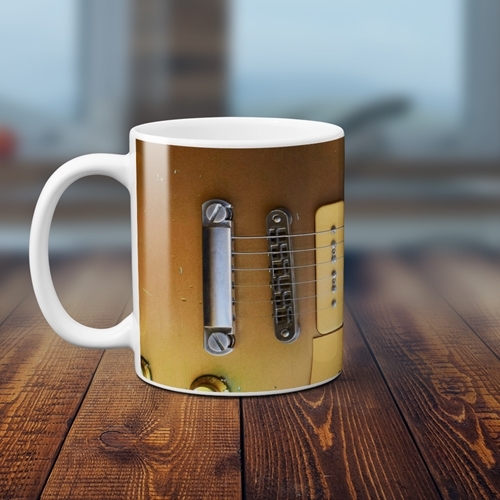 Dishwasher and microwave safe! 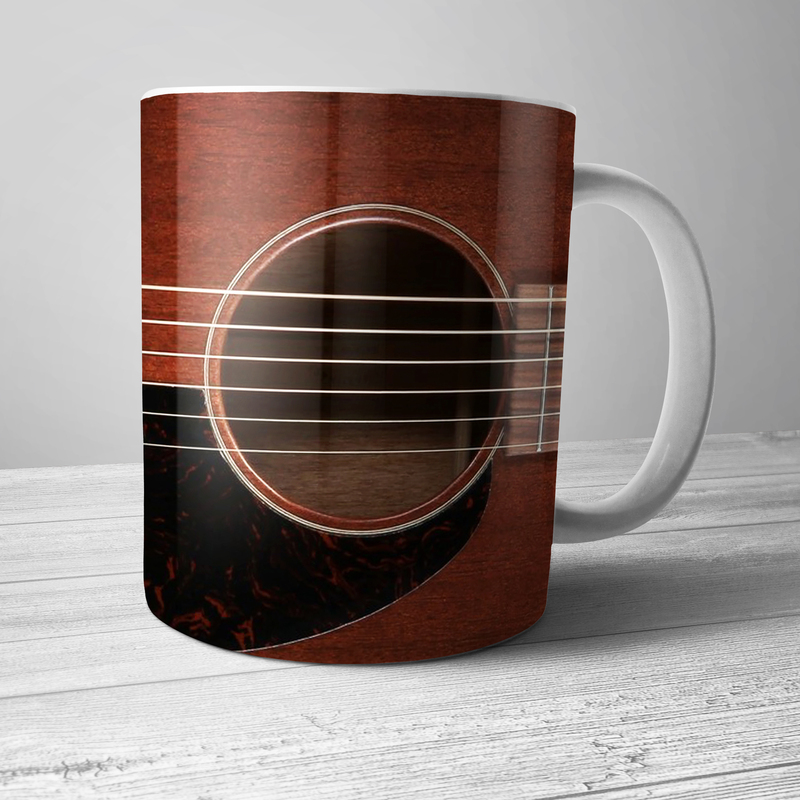 This guitar coffee mug is especially for musicians, and makes the perfect guitarist gift. The design wraps almost all the way to the handle. Guitar pickups are on the right side, the bridge is on the left of this premium lightweight ceramic coffee mug.